"I found out about this from a friend from the Humane Society where I volunteer, just had to share it! 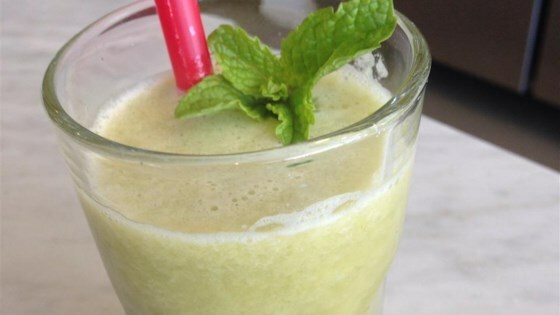 If you don't want to wait all night, try using a juicer." Combine cucumbers, peaches, mint, and salt in a pitcher; stir gently. Refrigerate for 8 hours to overnight. Experiment! If you don't like peaches, try nectarines or plums. You can peel the cucumbers if desired. White peaches are preferable.